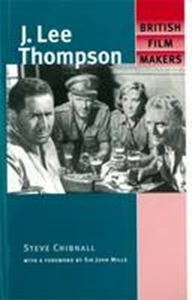 First published on the fiftieth anniversary of his directorial debut, this book was the first to examine the work of a man once hailed as the finest film-maker to emerge from the British studio system after the Second World War. Before being recruited by Hollywood, J. Lee Thompson made a string of classic films including: Yield to the Night (1956), Ice Cold in Alex (1958), Tiger Bay (1959), North West Frontier (1959) and The Guns of Navarone (1961). He worked in the Hollywood industry into his late eighties, making nearly thirty films as a director and producer between 1960 and 1990. He remains best known, however, for his first: the immortal thriller Cape Fear (1962). Drawing on extensive interview material, Steve Chibnall traces Lee Thompson's career in British cinema, and offers an analysis of his films which reveals remarkable, and previously unacknowledged, continuities of style and theme. This is a book for anyone interested in the history of British cinema, and particularly those who enjoy the best of 1950s and 1960s film.